Those who know him by close quarters always swear by his in-depth knowledge of almost everything on earth and his ever inquisitiveness to learn. Even though he hails from a family of businessmen, he chose not to inherit the family business, rather earn it by hard work and sweat, the two elements that paid off rich dividends as the future unfolded. He has to his credit of leading his impeccable expertise to many leading FMCG companies like SM Foods, Frito, Amul, Pravin Chitale, Poorna Foods, etc. While his motto in life is the same as his blood group ‘Be Positive’, he lives by the saying ‘Everything in the world is irreplaceable… except hard work’. Armed with a gleaming bachelor degree, he got married to his job quite early in life. 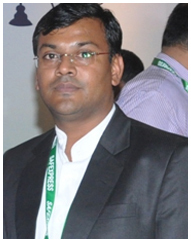 With a sole aim of mastering the art of marketing, he started off with the sister concern of Aarti Group of Industries, M/s. Amulya Bio Products: venturing ahead with M/s. Novell Exports, ISO 22000 certified facility manufacturing frozen food stuff for domestic and export markets; further exploring the distribution set up with SNG overseas for export markets like, UK, Australia, UAE, etc. 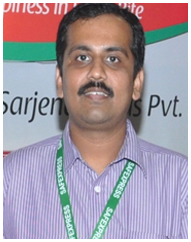 Besides all that, he also added up the experience with SVN Enterprises. True to his name ‘Nirmal’, one can only expect piousness and transparency from his man, an opinion that is echoed not only by his contemporaries, but also by his business associates. 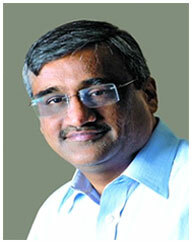 As commonly referred to as the poster boy of Indian retail, Kishore Biyani can easily be credited of changing the way India shopped. He set a trend for many to follow. And the journey still continues…. From setting up the first Pantaloons store in Gariahat, Kolkata in August 1997 and then the first Big Bazaar in Mumbai at the High Street Phoenix Mills in 2002, Kishore Biyani has redefined a lot many rules. But as he better puts it across for us, “I based everything on one philosophy: rewrite rules but retail values. Chase your dreams but don’t compromise on your belief system.” Today, with a pan India presence, Future Group is a well-known household name.